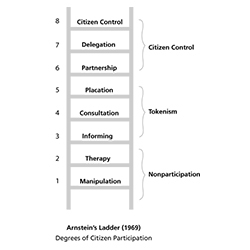 Sherry Arnstein, writing in 1969 about citizen involvement in planning processes in the United States, described a “ladder of citizen participation” that showed participation ranging from high to low. The ladder is a guide to seeing who has power when important decisions are being made. It has survived for so long because people continue to confront processes that refuse to consider anything beyond the bottom rungs. Fundraising for your project is highly competitive, driven by relationships and a documented track record of achievement. More often than not, organizations will have to pay for their first project out of existing funds to get it going. 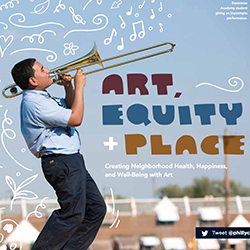 This edition features stories of community developers, residents, and artists using creativity to help address complex neighborhood issues. ArtPlace Deputy Director Lyz Crane talks about arts-based community development in which arts and culture can help achieve place-based change related to the physical, social, and economic dimensions of place. She outlines the variety of ways that the actors and activities involved in arts and community development work can relate to and interact with each other to create sustainable communities. 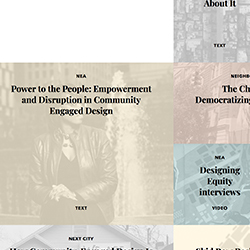 A resource to those interested in how architects, landscape architects, urban planners and designers are working in partnership with people and organizations from low income communities and low income communities of color to improve the quality of the built environment and to build local power and capacity. You are encouraged to get lost in the varied and dynamic content. 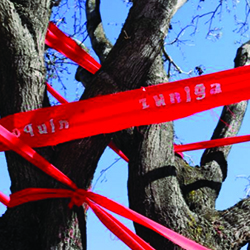 A multimedia collection of explorations, reflections, challenges, and offerings to the national dialogue around creative placemaking, created by ALTERNATE ROOTS members. 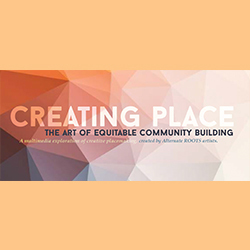 Start by downloading the Creating Place digital book which contains an excerpt or overview of each Creating Place article, film, and podcast, as well as links to where you can see more. This report frames eight reasons to do creative placemaking and strategies for getting started. 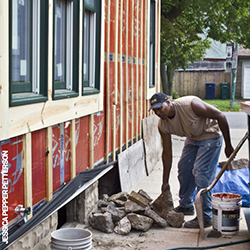 It also features case studies of how these strategies are being used by three community development organizations that are leading this practice in the field.